Residents of the Ozarks hanker for higher elevations this time of year. 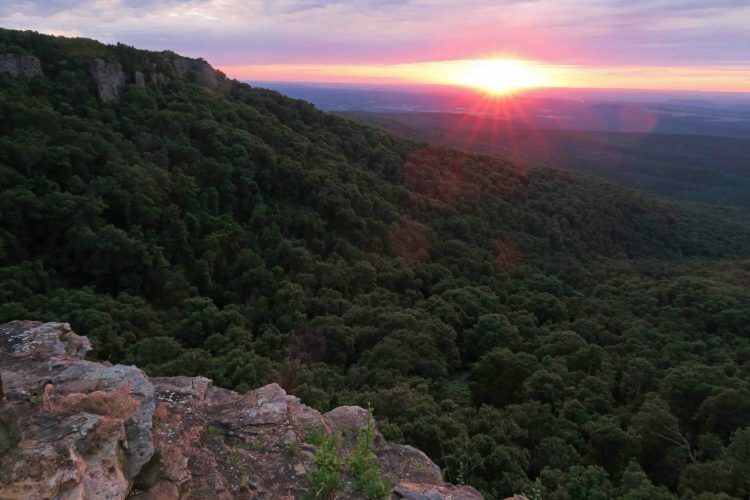 I wish Arkansas had an 8,000-foot mountain, but it would be crowded with the whole state huddled at the top through July and August. Fortunately, there is a place where you can sometimes escape the south’s summer heat and humidity. 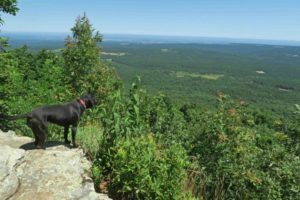 Mount Magazine, at 2,753 feet, is Arkansas’ island in the sky and offers a wide array of beautifully maintained hiking trails and facilities. Years ago, I visited Mount Magazine and saw the remaining footprint of the 1940 WPA Lodge that burned in 1971. 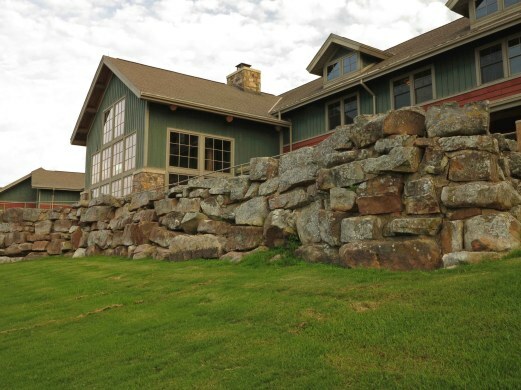 The huge stone wall that formed the terrace for that earlier lodge now stands below a massive new lodge, completed in 2006. All rooms feature views across the Blue Mountain Lake and valley. To learn more about the history of this area, check out Don Simons’ book, Mount Magazine (Images of America). 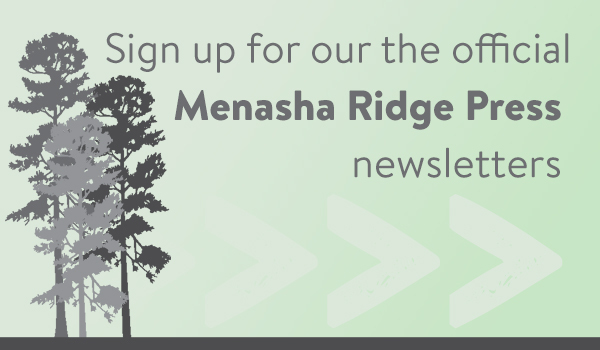 The lodge and surrounding cabins are beautiful as is the campground, located a short walk from Cameron Bluff. We traveled through driving rains in the River Valley to reach Cameron Bluff Campground, arriving in an eerie cloud atop Mount Magazine. The next day brought temperatures in the low 60s, heaven for the summer dayhiker! Hiker-dog and I wanted to hike around the “island” and decided to do a longer variation on the hike I described in Fives Star Trails: The Ozarks. We accessed the trail by the High Point Trail and then added the full length of Mossy Bluff Trail, East Benefield, Bear Hollow, and Will Apple’s Road Trail. We completed the morning with the North Rim Trail to make a 12-mile loop, arriving back at our campsite ready for lunch and a nap. Color provided visual highlights along the trail on this summer hike. 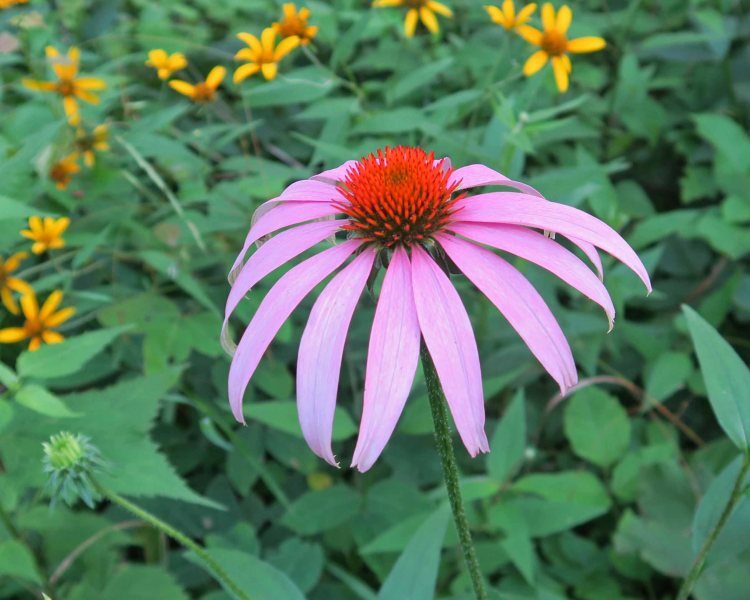 A lone coneflower called caught my eye as we hiked Mossback Ridge Trail. Butterflies danced from bloom to bloom, sometimes landing long enough for a picture, despite my lack of a long lens. Mount Magazine and the nearby town of Paris hosted their 20th (and last) Butterfly Festival in 2016. 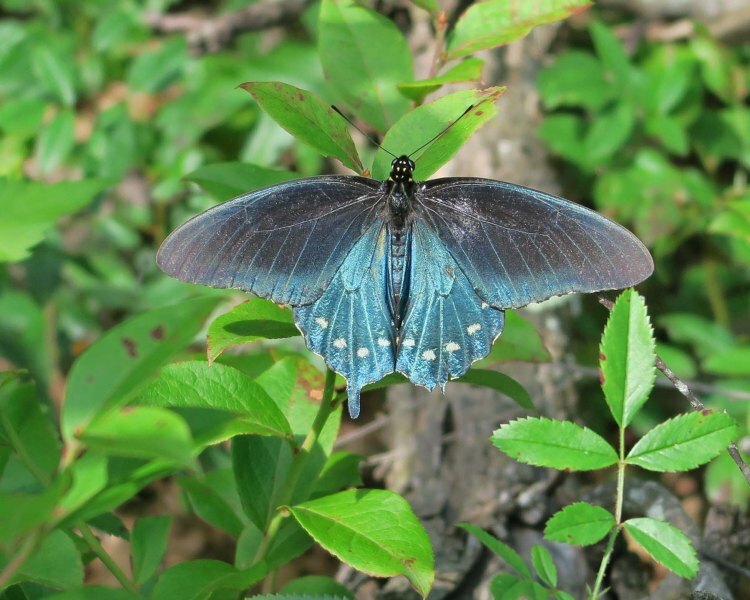 Thankfully, the diverse butterfly population didn’t get the news release and still arrives on Mount Magazine to enjoy its unique blooms and cool temperatures. A subtle collection of frog calls announced our approach to a small hidden pond located on the historical Benefield homestead. While Hiker-dog grabbed a drink, I captured a short sample of the pond’s soundscape. Between the flowers, bluffline vistas, cool morning air, and wildlife, we ended our day filled with thankfulness for Mount Magazine, our gorgeous green island in the sky! 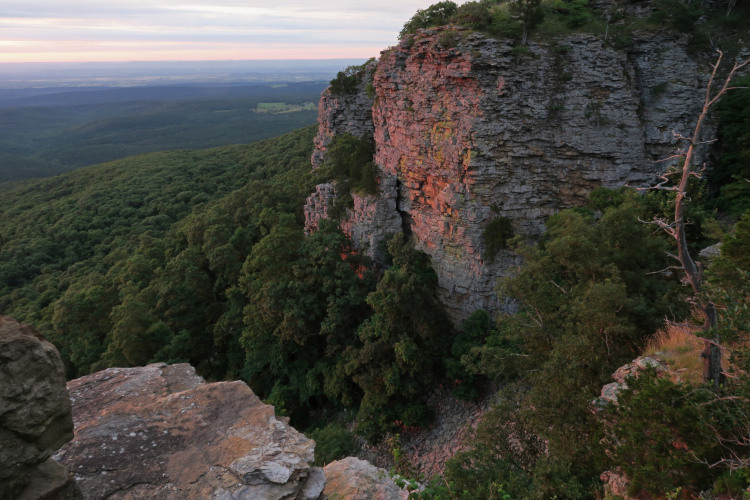 For more Arkansas hikes, check out Jim Warnock’s book, Five-Star Trails: The Ozarks.